The U.S. Appeals Courts for Washington D.C. has given the green light for the destruction of human embryonic stem cells for research purposes. The action overturns an injunction placed by a federal judge, last August, who ruled such destruction violated Congressional spending laws, in place since the 1990’s. It was a 2-1 decision and a win for President Obama’s administration who had been pressing to get the injunction lifted. Last August, Theresa Deisher, one of the co-plaintiffs in federal court, successfully challenged the Obama Administration and got the injunction in place. Dr. Deisher is based in Seattle and is the head of a couple of small biotech firms that specialize in developing pro-life vaccines. 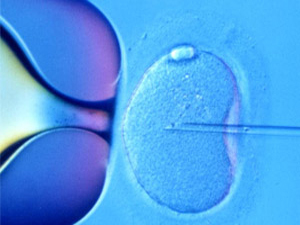 On August 23, 2010, Royce C. Lamberth, Chief Judge of the United States District Court for the District of Columbia concluded that the federal government could not make a distinction between the first stages of embryonic stem cell research that involves the destruction of human embryos and later stages of embryonic stem cell research that does not. This is consistent, as was pointed out last summer, by numerous Catholic theologians with the Congregation for the Doctrine of the Faith in, Dignitas personae. Dignitas personae concludes “the use of embryonic stem cells or differentiated cells derived from them — even when these are provided by other researchers through the destruction of embryos or when such cells are commercially available — presents serious problems from the standpoint of cooperation in evil and scandal” (no. 32). This means, according to the Catholic Church, any research with human embryonic stem cells is morally wrong because of its close link to the grave moral evil that comes with the unjust killing of innocent human beings. The co-plaintiffs in the case would have to take the case the U.S. Supreme Court to get the case overturned. Mark Armstrong is the co-author of Amazing Grace for Fathers along with his wife, Patti Armstrong, Jeff Cavins and Matt Pinto. The couple's website is at www.raisingcatholickids.com.